Go local! How will the future look like 100 years ahead just outside your front door? What is the relationship between man and nature if it’s up to you? House of Futures is proud to present the outdoor exhibition “YEAR 2112” at Byens Hegn/Gl. Strand. Do also join us for the opening event at Kulturnatten 12 October where we celebrate the long view with the moving performance installation “Ode to the 5th Culture – The Alchemy of In100Years”. Read more in the invitation to Futures’ Day 2012. The 100 meter long exhibition “YEAR 2112” at Byens Hegn/Gl. Strand is something as unusual as an artistic and graphic presentation of a year-long knowledge process that engaged 170+ experts and visionaries. The focus is the two mind set scenarios about sustainable futures in the long run: “Man Made World” and “Power of Nature”. Some experts say that there is only a 50 per cent chance that the human species will survive the 21st Century. We say that your approach to the long-term future today will determine our destiny. Will man or nature rule the world in 100 years? Will political leadership or a movement from within change our direction? Will responsible determination or deep belonging be our guiding principle? What’s your favourite future? Take a stroll down Gl. Strand (“Old Beach”) from 12 October and vote for the future you want. As the only futurist from Denmark, Gitte Larsen, director at House of Futures, joined the gathering among professional futurists from all over the world in Oxford and at Arup’s headquarter in London 10-13 September. She gave a presentation about the project “In 100 years – starting now” at Wolfson College and highlighted the combination of performance art and futures studies that was an important part of the success of the In 100 Years’ seminars during 2011-2012. It was valuable and inspirational to try, learn about, and to share new futures studies methods. A wider range of methods that are capable of meeting the needs of companies and organizations in an uncertain world are necessary, and House of Futures will continue to take part in developing the field of Futures Studies together with our clients. You might not already be thinking about Christmas presents, but perhaps you should? Right now we are selling this book, which is a great gift for everybody interested in the past, the present, and the future of humanities. 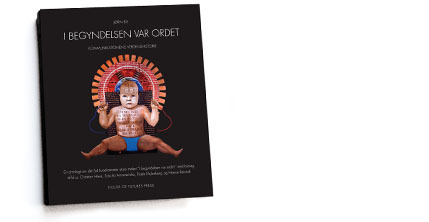 Communication forms and technologies as well as the arts might still be what really are the driving forces in our constantly developing society (the book is in Danish only). “Vi har hver vores opfattelse af livet, hver vores sandhed. Flere og flere begynder også at forstå, at vi skal finde svarene på vores spørgsmål inde i os selv – og at hele universet er inde i os selv!”, skriver kunstmaler og forfatter Jørn Bie. Læs intro til bogen og køb bogen for kun DKK 100,- inkl. forsendelse. To “TV Fra En Anden Planet” (Tvfap) by Martin Spang Olsen that acts as an alien from a distant planet on his web-based tv-channel. Martin Spang Olsen (who also contributed to the book we’re having on sale) wants us to solve all crisis before 21.12.2012, and you can watch interviews with different experts about the “how to” part. Copyright © 2012 House of Futures, All rights reserved.